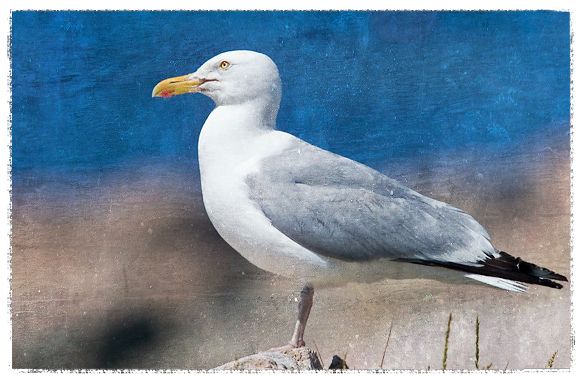 Why do seagulls fly inland? There’s a sinuous line of gravel pits shadowing the River Trent all along its confluence from the Dove in the north, to the Tame further south. They’re a two edged sword; on the one hand, an obvious physical blight, deep scars left from the ripping and destruction of diggers, tippers and tractors big enough to have come from a Transformers set. Meadows and farmland are gone overnight once they start; ancient trees, gnarled, cracked, characterful, part of your expectation of the landscape, levered out and shipped away. On the other, they prevent insidious urban creep and in turn create a new landscape, new habitats, and new life. Out of the flames a Phoenix rises, but in a different form. The pits become lakes and find ingenious uses. From water ski centres, to nature reserves, to inland marinas with retail parks, short cuts joining them to the waterways, a honey pot of narrow boats. Others are left barren, hidden behind a stack of old shipping containers here or old army vehicles there. Some lie waiting for the grand promise of being the heart of a new village to be fulfilled. There are many newcomers once the gravel lakes are formed: tree species I associate with dunelands, pines, young beech; and grasses, tufty and spiky underfoot. Swans move from a few families on the river to banks of them on the lakes; same too with Canada Geese. And everywhere there are seagulls, here, as far as it is possible to get from the coast in this island. Flocks of them land on the lakes and rise as one, like dust swirls stirred up in a desert; in the air, they hang, feathering their trim to become almost motionless before dropping in graceful arcs. Sometimes, but rarely, they give off their crying, coughing, bark but never with the abandon they do at the coast. These are Herring Gulls: with their cranberry legs and soft grey wings, but there are no herring here. My daughter and I debated why they fly inland as we walked around the lip of one of the lakes. The gulls were showing off; swooping strongly, pulling out; shocking the moorhens. Perhaps there is an inland roost; a safer home for them to rear their chicks – but they’re with us all year round it seems, so it’s only a partial explanation, and probably fewer foxes near the sea. The weather was put forward too, moving ahead of incoming fronts, sensing the air, staying dry. But these are seagulls, as adept on the water as they are in the air: capable pilots, seamen and fell walkers. So why not food? Just as a feisty Gull who fixed me with a steely stare tried to steal my pasty one warm day at Mevagissey, why not gulls checking through the Kebab waste outside Spiceland, or for shards of chip shop detritus, batter bits or half crushed chips, they’re innards gently squeezing out onto the pavement, part crushed underfoot? Searching for the chips to go with their beer-battered herring.